IMG Note: The following article is the first in a two-part series analyzing North Korea’s motivations and presumed end game with their recent series of provocative actions and brinksmanship. Many corporations have employees in South Korea. Good corporate security planning involves developing an evacuation plan for expatriates in the event of a Korean crisis. This article points to the need for corporations in South Korea to form a coherent corporate security and evacuation plan. This article details thoughts on how to construct well-thought-out, detailed contingency plans to evacuate their expatriates (as well as employees who may happen to be in the Republic of Korea) and business continuity plans to ensure disruptions to business operations are held to a minimum. On Jan. 29, I wrote a piece that described North Korea’s strategy as a combination of ferocious, weak and crazy. In the weeks since then, three events have exemplified each facet of that strategy. Pyongyang showed its ferocity Feb. 12, when it detonated a nuclear device underground. The country’s only significant ally, China, voted against Pyongyang in the U.N. Security Council on March 7, demonstrating North Korea’s weakness. Finally, Pyongyang announced it would suspend the armistice that ended the Korean War in 1953, implying that that war would resume and that U.S. cities would be turned into “seas of fire.” To me, that fulfills the crazy element. My argument was that the three tenets — ferocity, weakness and insanity — form a coherent strategy. 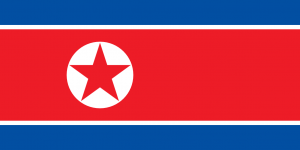 North Korea’s primary goal is regime preservation. Demonstrating ferocity — appearing to be close to being nuclear capable — makes other countries cautious. Weakness, such as being completely isolated from the world generally and from China particularly, prevents other countries from taking drastic action if they believe North Korea will soon fall. The pretense of insanity — threatening to attack the United States, for example — makes North Korea appear completely unpredictable, forcing everyone to be cautious. The three work together to limit the actions of other nations. So far, North Korea is acting well within the parameters of this strategy. It has detonated nuclear devices before. It has appeared to disgust China before, and it has threatened to suspend the cease-fire. Even more severe past actions, such as sinking a South Korean ship in 2010, were not altogether inconsistent with its strategy. As provocative as that incident was, it did not change the strategic balance in any meaningful way. Normally North Korea has a reason for instigating such a crisis. One reason for the current provocation is that it has a new leader, Kim Jong Un. The son of former leader Kim Jong Il and the grandson of North Korea’s founder Kim Il Sung, Kim Jong Un is only 30 years old, and many outside North Korea doubt his ability to lead (many inside North Korea may doubt his ability, too). One way to announce his presence with authority is to orchestrate an international crisis that draws the United States, Japan, China, Russia and South Korea into negotiations with North Korea — especially negotiations that Pyongyang can walk away from. The North Korean regime understands the limits of its strategy and has been very sure-footed in exercising it. Moreover, despite the fact that a 30-year-old formally rules the country, the regime is a complex collection of institutions and individuals — the ruling party and the military — that presumably has the ability to shape and control the leader’s behavior. It follows that little will change. U.S. analysts of North Korea will emphasize the potential ferocity and the need for extreme vigilance. The Chinese will understand that the North Koreans are weak and will signal, as their foreign minister did March 9, that in spite of their vote at the United Nations, they remain committed to North Korea’s survival. And most people will disregard Pyongyang’s threat to resume the Korean War. Indeed, resuming the Korean War probably is not something that anyone really wants. But because there are some analysts who think that such a resumption is plausible, I think it is worth considering the possibility that Pyongyang does want to restart the war. It is always worth examining an analysis based on the assumption that a given framework will not hold. For the record, I think the framework will hold, but I am simply examining the following hypothetical: This time, North Korea is serious. To assess Pyongyang’s sincerity, let’s begin with two untested assumptions. First, assume North Korea has determined that it is unable to develop a deliverable nuclear weapon within a meaningful time frame. Either there are problems with constructing the device or its missiles are unreliable. Alternatively, assume it has decided that any further development of weapons will likely lead to attacks by the United States against its nuclear facilities. In other words, assume it expects to lose its nuclear capability because it cannot move forward or because moving forward will invite attacks against nuclear facilities. The second assumption, more likely accurate, is that North Korea has realized that the strategy it has followed since the 1990s is no longer working. The strategy has lost its effectiveness, and North Korean ferocity, weakness and insanity no longer impress anyone. Rather than generating financial and other concessions, the strategy has simply marginalized North Korea, so that apart from sanctions, there will be no talks, no frightened neighbors, no U.S. threats. Kim Jong Un would not announce himself with authority, but with a whimper. IMG Note: The general background of relations between the two Koreas is one of periodic instability. What is important from a corporate perspective is to have an employee evacuation plan. The IMG Group assists corporations in creating the detailed evacuation plans that reflect the needs of corporations doing business in South Korea. Browse the International Crisis Management page on the IMG Group website, email the IMG Group or call us for more information.